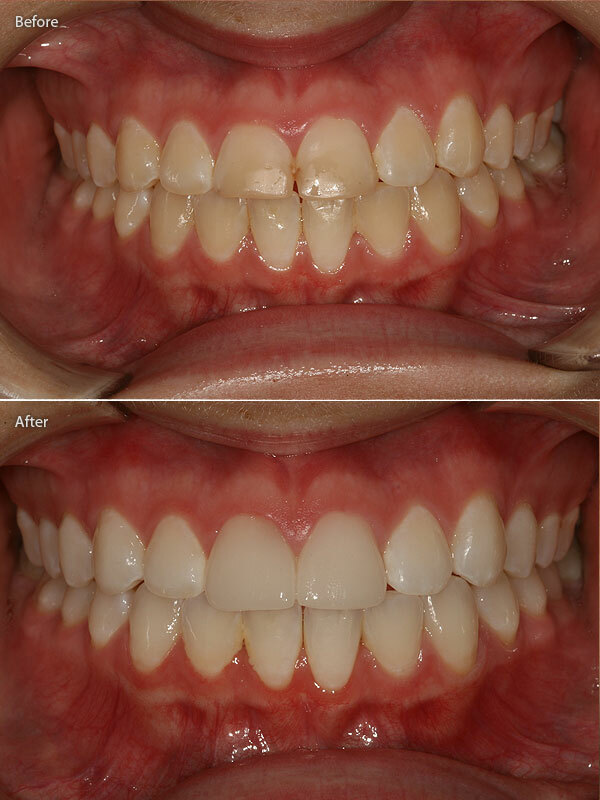 In the blossoming world of cosmetic dentistry, teeth whitening reigns supreme. Universally valued by men and women alike, whitening (or bleaching) treatments are available to satisfy every budget, time frame and temperament. The long and the short of it is that teeth whitening works. Virtually everyone who opts for this cosmetic treatment will see moderate to substantial improvement in the brightness and whiteness of their smile. 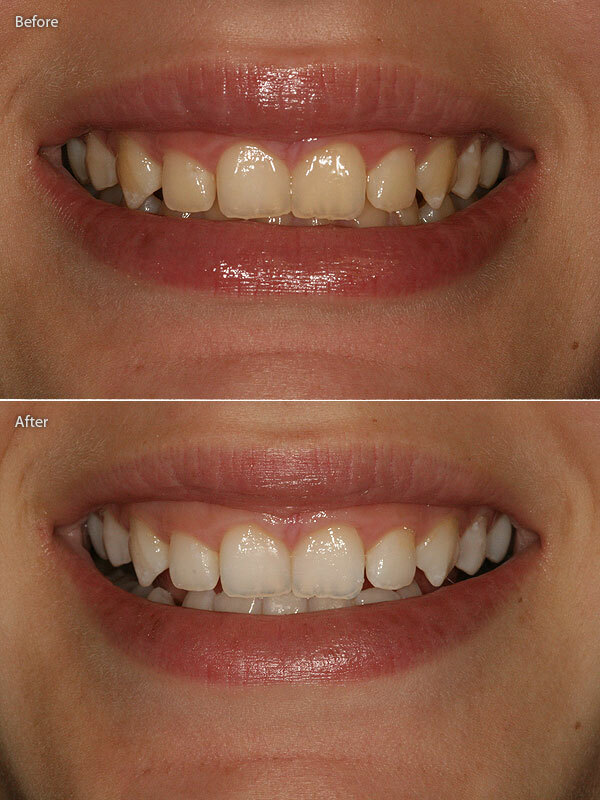 However, teeth whitening is not a permanent solution and requires maintenance or "touch-ups" for a prolonged effect. Most of us start out with sparkling white teeth, thanks to their porcelain-like enamel surface. Composed of microscopic crystalline rods, tooth enamel is designed to protect the teeth from the effects of chewing, gnashing, trauma and acid attacks caused by sugar. Over the years enamel is worn down, becoming more transparent and permitting the yellow colour of dentin - the tooth's core material - to show through. During routine chewing, dentin remains intact while millions of micro-cracks occur in the enamel. It is these cracks, as well as the spaces between the crystalline enamel rods, that gradually fill up with stains and debris. As a result, the teeth eventually develop a dull, lacklustre appearance. 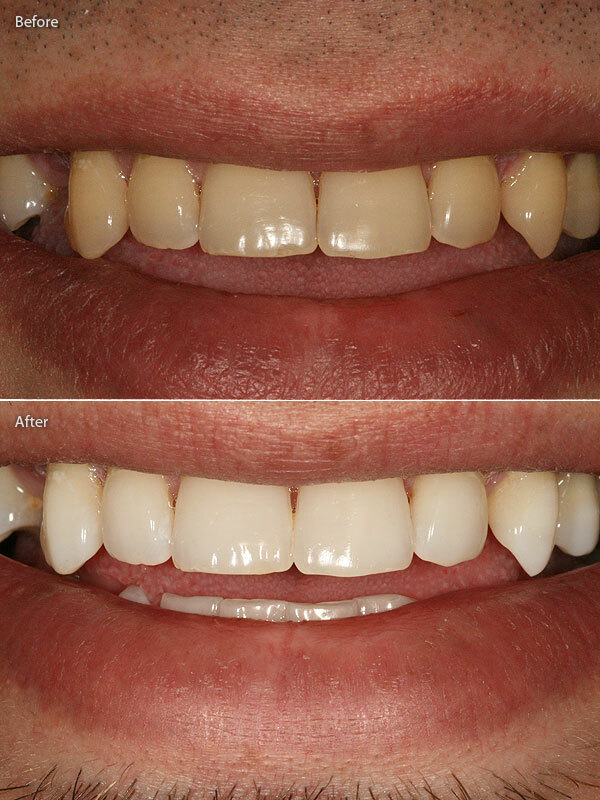 Teeth whitening remove the stains and debris, leaving the enamel cracks open and exposed. Some of the cracks are quickly re-mineralized by saliva, while others are filled up again with organic debris. Extrinsic stains are those that appear on the surface of the teeth as a result of exposure to dark-coloured beverages, foods and tobacco, and routine wear and tear. Superficial extrinsic stains are minor and can be removed with brushing and prophylactic dental cleaning. 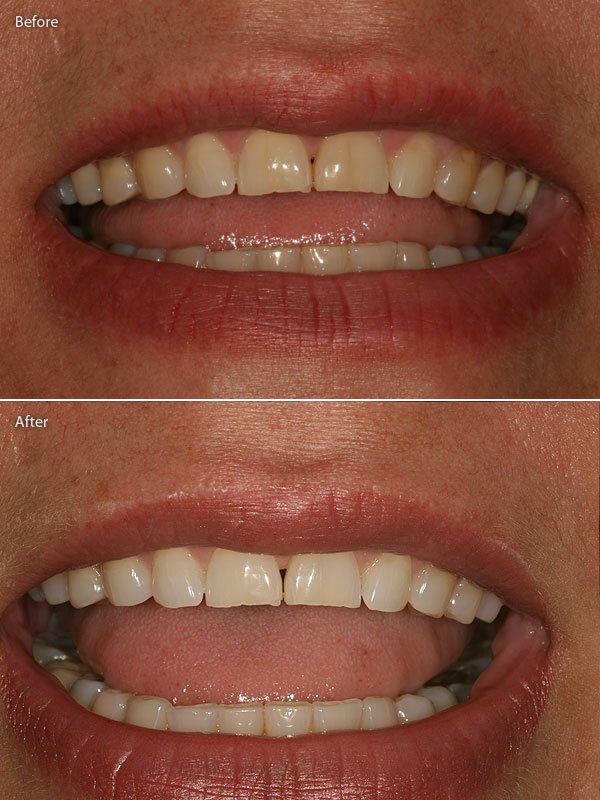 Stubborn extrinsic stains can be removed with more involved efforts, like teeth bleaching. Persistent extrinsic stains can penetrate into the dentin and become ingrained if they are not dealt with early. Intrinsic stains are those that form on the interior of teeth. Intrinsic stains result from trauma, ageing, exposure to minerals (like tetracycline) during tooth formation and/or excessive ingestion of fluoride. In the past, it was thought that intrinsic stains were too resistant to be corrected by bleaching. 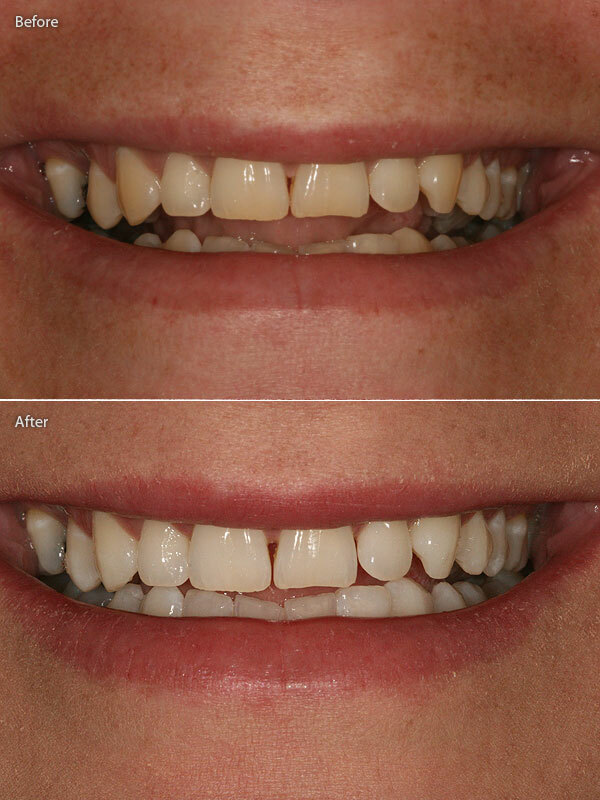 Today, cosmetic dentistry experts believe that even deep-set intrinsic stains can be removed with supervised take-home teeth whitening that is maintained over a matter of months or even a year. There is a direct correlation between tooth colour and age. Over the years, teeth darken as a result of wear and tear and stain accumulation. Teenagers will likely experience immediate, dramatic results from whitening. In the twenties, as the teeth begin to show a yellow cast, teeth-whitening may require a little more effort. By the forties, the yellow gives way to brown and more maintenance may be called for. By the fifties, the teeth have absorbed a host of stubborn stains which can prove difficult (but not impossible) to remove. We are all equipped with an inborn tooth colour that ranges from yellow-brownish to greenish-grey, and intensifies over time. Yellow-brown is generally more responsive to bleaching than green-grey. These are also genetic traits that become more pronounced with age. While all teeth show some translucency, those that are opaque and thick have an advantage: they appear lighter in colour, show more sparkle and are responsive to bleaching. Teeth that are thinner and more transparent � most notably the front teeth - have less of the pigment that is necessary for bleaching. According to cosmetic dentists, transparency is the only condition that cannot be corrected by any form of teeth whitening. The habitual consumption of red wine, coffee, tea, cola, carrots, oranges and other deeply-coloured beverages and foods causes considerable staining over the years. In addition, acidic foods such as citrus fruits and vinegar contribute to enamel erosion. As a result, the surface becomes more transparent and more of the yellow-coloured dentin shows through. Nicotine leaves brownish deposits which slowly soak into the tooth structure and cause intrinsic discolouration. 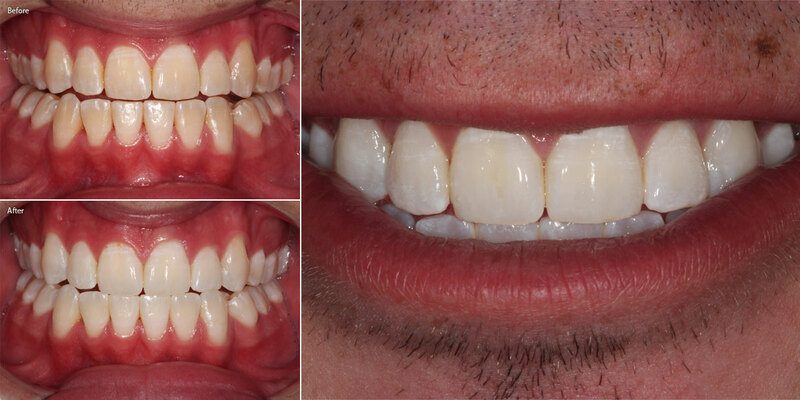 Tetracycline usage during tooth formation produces dark grey or brown ribbon stains which are very difficult to remove. Excessive consumption of fluoride causes fluorosis and associated areas of white mottling. Most frequently caused by stress, teeth grinding (gnashing, bruxing, etc.) can add to micro-cracking in the teeth and can cause the biting edges to darken. Falls and other injuries can produce sizable cracks in the teeth, which collect large amounts of stains and debris. This can also cause nerve damage and subsequent internal discolouration. Two professional teeth whitening options are available today. Both rely on varying concentrations of peroxide and varying application times. Significant colour change in a short period of time is the major benefit of in-office whitening. This protocol involves the carefully controlled use of a relatively high-concentration peroxide gel, applied to the teeth by the dentist or trained technician after the gums have been protected with a paint-on rubber dam. Generally, the peroxide remains on the teeth for several 15 to 20 minute intervals that add up to an hour (at most). Those with particularly stubborn staining may be advised to return for one or more additional bleaching sessions, or may be asked to continue with a home-use whitening system. In-office bleaching is not a permanent solution. Shortly after treatment is completed, the teeth resume accumulating stains. Many dentists therefore recommend home maintenance follow-up with a lower-percentage bleach that can be kept on the teeth for longer periods of time. Bleaching can cause a temporary increase in sensitivity to temperature, pressure and touch. This is likeliest to occur during in-office whitening, where higher-concentration bleach is used. Some individuals experience spontaneous shooting pains ("zingers") down the middle of their front teeth. Many dentists are of the opinion that professionally dispensed take-home whitening kits can produce the best results over the long haul. Take-home kits incorporate an easy-to-use lower-concentration peroxide gel that remains on the teeth for 6-8 hours daily (sometimes overnight) for 10-14 days. The lower the peroxide percentage, the longer it may safely remain on the teeth. The gel is applied to the teeth using custom-made bleaching trays that resemble mouth guards. The bleach preference for in-office whitening, where time is limited, is powerful and fast-acting hydrogen peroxide. When used in teeth bleaching, hydrogen peroxide concentrations range from approximately 9% to 40 %. By contrast, the bleach of preference for at-home teeth whitening is slower acting carbamide peroxide, which breaks down into hydrogen peroxide. Carbamide peroxide has about a third of the strength of hydrogen peroxide. This means that a 15 % solution of carbamide peroxide is the rough equivalent of a 5 % solution of hydrogen peroxide. Sensitivity: Bleaching can cause a temporary increase in sensitivity to temperature, pressure and touch. This is likeliest to occur during in-office whitening, where higher-concentration bleach is used. Some individuals experience spontaneous shooting pains ("zingers") down the middle of their front teeth. Individuals at greatest risk for whitening sensitivity are those with gum recession, significant cracks in their teeth or leakage resulting from faulty restorations. It has also been reported that redheads, including those with no other risk factors, are at particular risk for tooth sensitivity and zingers. Whitening sensitivity lasts no longer than a day or two, but in some cases may persist up to a month. Some dentists recommend a toothpaste containing potassium nitrate for sensitive teeth. Technicolor teeth: Restorations such as bonding, dental crowns or porcelain veneers are not affected by bleach and therefore maintain their default colour while the surrounding teeth are whitened. This results in what is frequently called "technicolor teeth." At-home follow-up or maintenance whitening - implemented immediately or performed as infrequently as once a year. Practicing excellent oral hygiene - brushing and flossing after meals and at bedtime. No amount of bleaching will yield "unnaturally" white teeth. 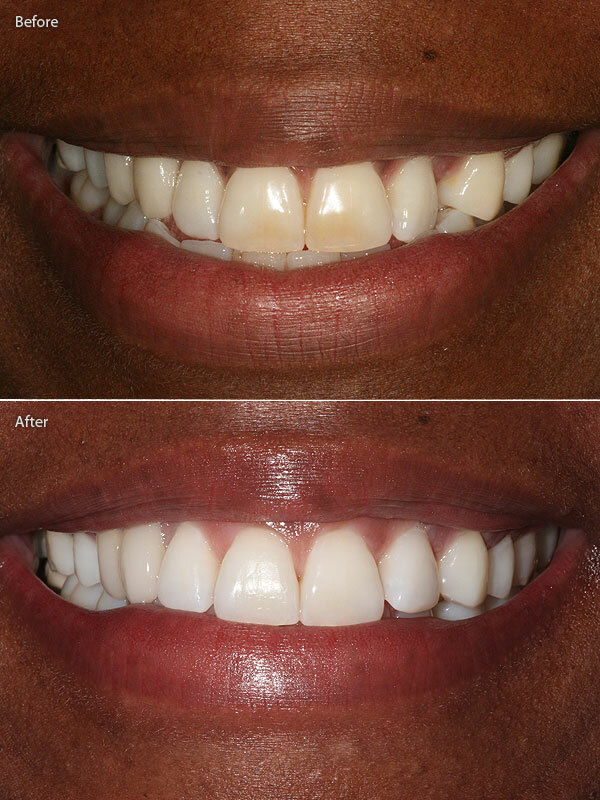 Whitening results are not fully seen until approximately two to four weeks after bleaching. This is an important consideration if you are about to have ceramic restorations and want to be sure the colour matches that of your newly bleached teeth. To avoid the technicolor effect, tooth-coloured restorations will likely need replacement after bleaching. Recessed gums often reveal their yellowish root surfaces at the gum line. That yellow colour has proven difficult to bleach. Pregnant or nursing women are advised to avoid teeth whitening. The potential impact of swallowed bleach on the foetus or baby is not yet known.